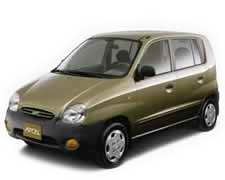 Car Rental Cuba Rent Vehicles, Hire Automobile with Cubacar, Rex, Via. Car Rental Cuba, we are a Travel Agency established at a Capital that offers rentals vehicles. We have contract with the best professional company service in Cuba. There are offices in all provinces, included airport and Varadero. We make every effort to provide service that's the best value for money. We've the best transportation selections for travelers. Cuba is known as an island paradise. Visitors travelling to Havana will find incredible hotels, historic sites and beautiful natural landscapes within easy reach, particularly when they are renting a car from Havana Airport. What are you waiting for? Book your car now!. Where to renting a car at Airport? - There are several number of renting companies operating, they are all located in either the arrivals area or just outside in the car parking. Terminal 2 and 3 are home to Cubacar, Havanautos and Via Transgaviota desks while Terminal 5 is home only to Via Transgaviota. Car Rental Cuba Rent Car, Cubacar, Automatic, Manual, We have a great variety of vehicles at your disposal, from the luxurious ones including chauffeur, the compact ones and jeeps to the small and economic models ideal for young couples. With a automobile you have the possibility of planning your own vacations, you could reserve hotel rooms in different provinces throughout our country and move at your own pace. The infrastructure for car repairing, maintenance and gas services are well placed and available in different cities, so you don't have to worry about it, just drive and enjoy the view. Vehicles can be picked up at airports or hotels in the cities or beach resorts, but it's not mandatory to deliver it back on the same point, you choose the place of your preference and our specialist will receive the car from you just minutes before you leave the country. The Havanautos Car Company, offer economic models for cheap prices, it is a great company, you only have to book a car and select a destination. Havanautos has several offices for rental in Cuba, including airports. Rex offers luxury cars in great condition in Cuba, it is better than Havanautos and Cubacar, but they have their prices a little high, but a rent a car in Cuba with this provider is our first option for renting a vehicle . Their has offices like others in Havana, and Airports. Cubacar Rental Car Company has a variety of economic, van, jeep. If you thinking in a travel around Cuba by hire an automobile and visit a beautiful destinations like Holguin, or Havana this is your opportunity for rentals. Their has an option that let you make a rental of an automobile in an airport and you can make drop-off in other place. Our rates include all taxes, mileage and have no real surprise fees or charges. Request an automobile for your romantic trip, family, business, vacation in Varadero; honeymoon in Havana, or just for pleasure. But better book a vehicle with driver guide, and save up to 30% of expenses, enjoying a 200% your trip in order that your eyes will only be seduced by Cuban tropics landscapes. Choose between our different rentals categories the one that fits you, if you are looking for small , the Economic Class is for you, on the other side, if you want that your trip has style, go a little more higher and book a Luxury Class. Other kind of categories are Middle Class, Van Class, Minivan Class, Jeeps Class and Premium Class. Book your car On Line now and receive confirmation right away!.